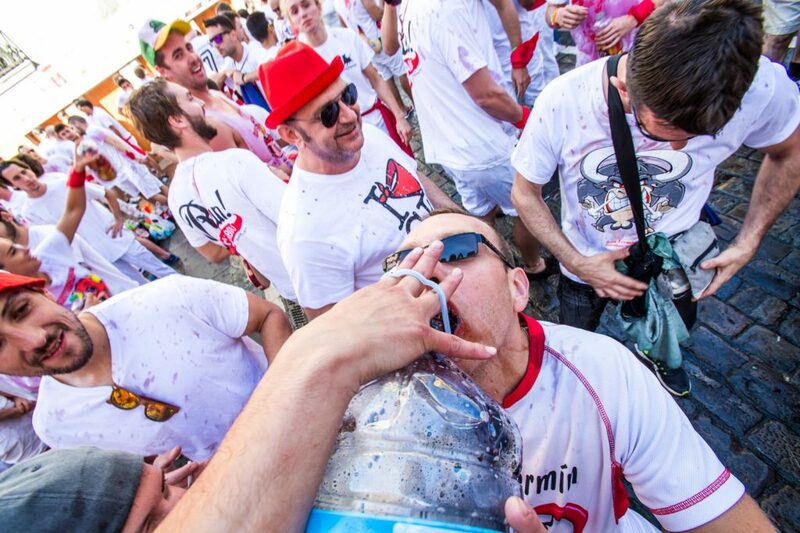 Kukuxumusu has outlined some short and clear ‘rules’ with seven points to be followed by all those who attend the Sanfermin fiestas. 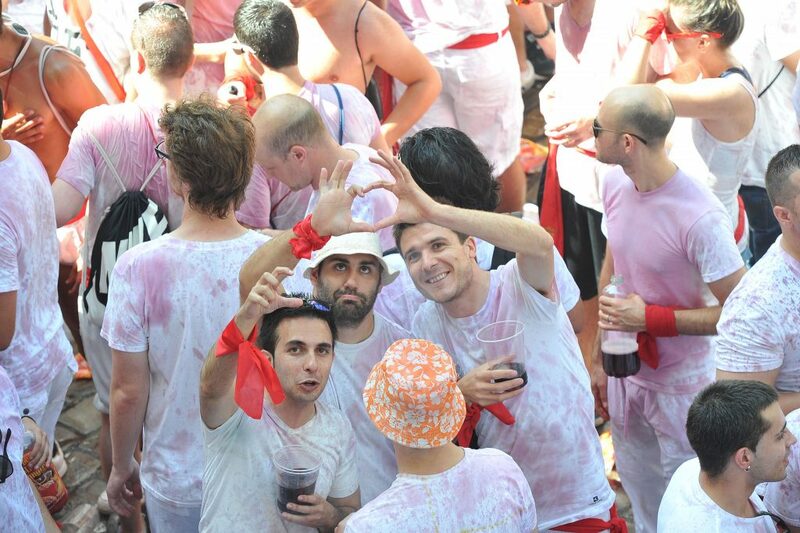 Download in PDF the rules of #SanFairPlay in four languages (Spanish, Englisgh, Basque and French). We challenge you to leave everything in the right place. Put your rubbish in the correctly coloured bins (in Pamplona we recycle glass, packaging, paper-cardboard, and organic waste. 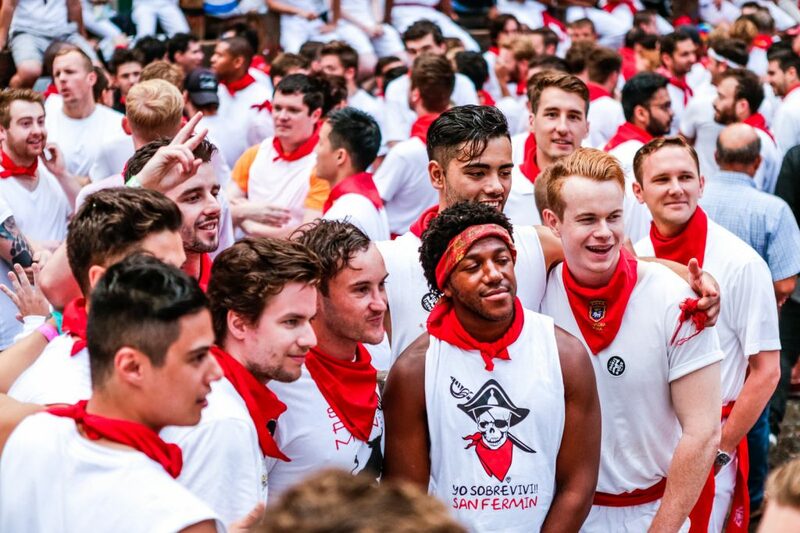 Yes, even in San Fermín). Urinating or vomiting in any garden, corner, wall or doorway is not nice, it’s pretty disgusting, and what’s more, if you are caught in the act you will be fined. 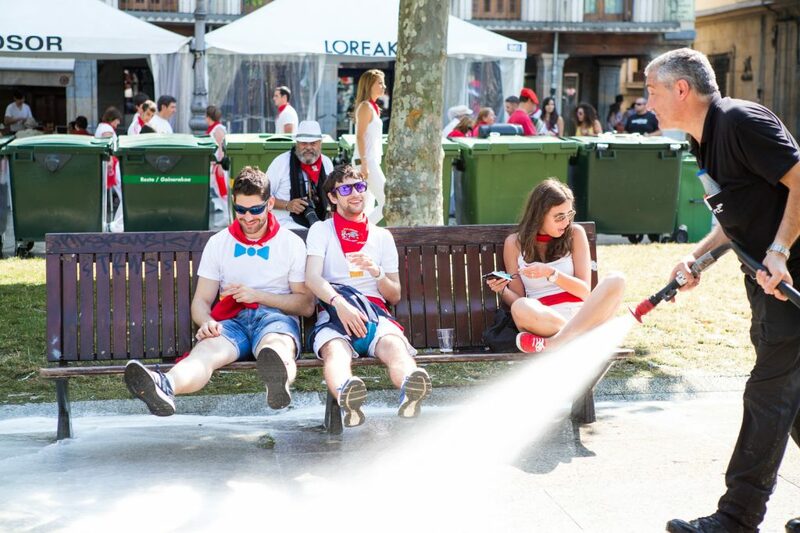 Use the mobile toilets that have been set up especially for the fiestas, or those in the bars. 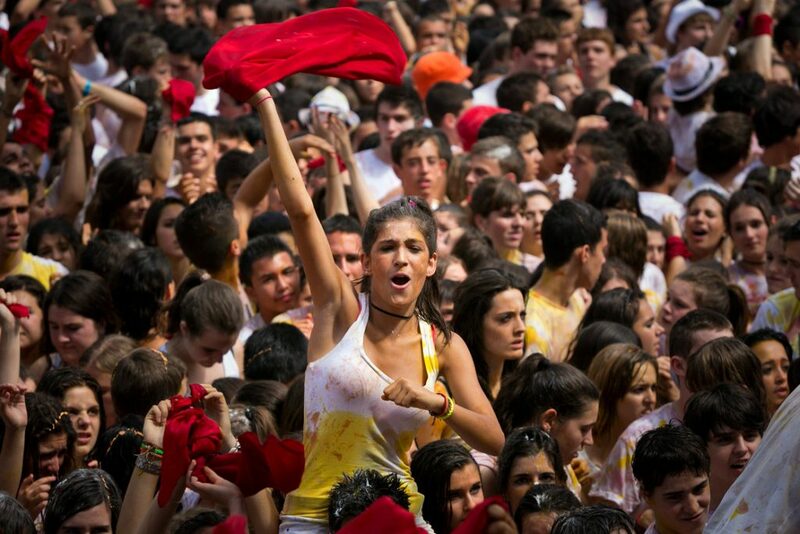 Pamplona has very similar rules to those where you live, so kick-start your common sense into action before doing something you shouldn’t. Even if you have drunk too much, the laws and rules still exist. If anyone says NO to you, if you hear them say NO or if you say NO, it means NO. And if they don’t say YES it also means NO. We do not tolerate sexual assaults, no matter how light, average or serious they may be. Live and let live. Respect people regardless of their sexual orientation, the way they express themselves and the vibes that they have going on. Diversity is enriching. 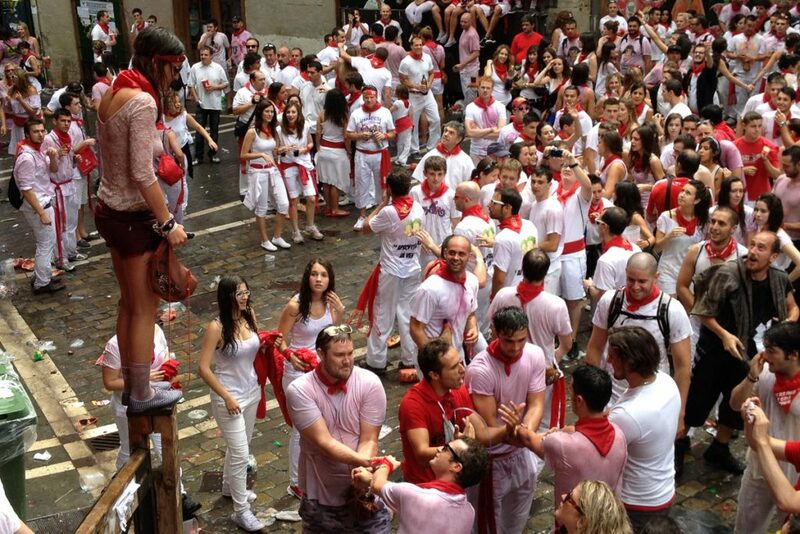 San Fermín is the most universal fiesta in the world. Anyone can take part, no matter where they come from, what they think, what colour they are or what language they speak. Don’t spoil their fun. 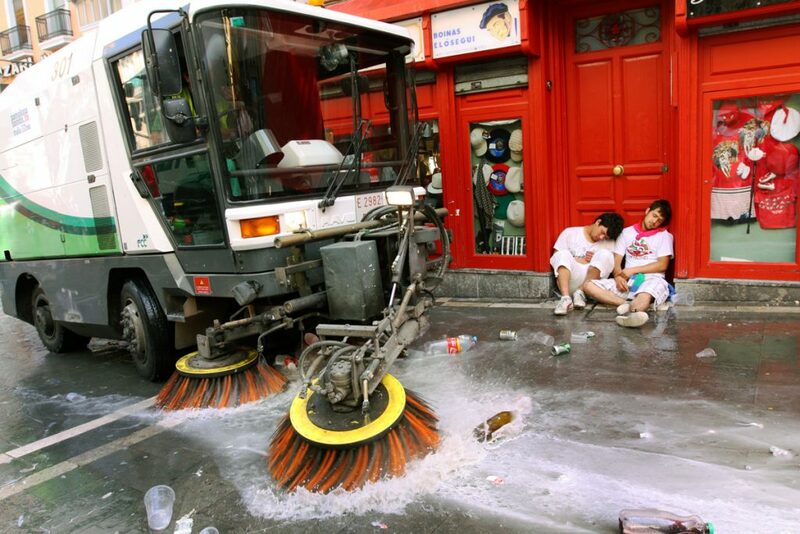 Police officers, volunteers, cleaning staff, carpenters, emergency services, the media, musicians, technicians, assembly workers, transporters… thousands of extra hands are required to work over the fiesta period. Make their jobs as easy as possible, or at the very least don’t make them harder. Take a Sanfairplay stcikers roll! Come to our shops, in Mercaderes and Estafeta streets, and take a stickers roll to share with the others.